Looking for trucking pick up companies in the metro New Jersey / New York area? From the heart of New Jersey Turnpike’s 8A Business Corridor, Glenway Distribution will get your goods where they need to be, when they need to be there. 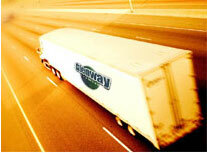 Glenway’s in-house trucking fleet makes pick-ups and deliveries throughout the Northeast. Services include Drayage, LTL, Truckload, and Value Added Services. With our transportation partners, Glenway Distribution can arrange customer cargo and container pick ups and delivery throughout North America. Contact Glenway Distribution to review your cargo needs and provide you with the best solution for your local, national and international shipments. Contact Glenway for a Customer Pickup quote!